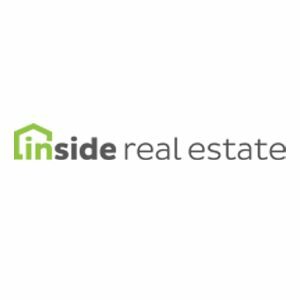 Inside Real Estate provides brokers, teams, and agents with extensive real estate tools to help streamline processes and transactions. Its real estate solutions include the Kunversion+ and kvCore platforms that enable its users to generate leads, manage listings, connect with new prospects, and more. There weren’t very many Inside Real Estate user reviews, but the ones we found were generally negative. One user who gave Inside Real Estate a positive review on Facebook like that it is an all-in-one platform and that it has unique automation features and cutting-edge tools that enable him to stay on top of his business. One user who left a review of Inside Real Estate on Facebook complained about the poor quality of leads that he received from the service. He also shared his frustrations over the continued charges to his credit card despite having canceled his account, as well as the difficulties in requesting a refund. Inside Real Estate does not publish its pricing on its website, but software similar to it ranges from $25 to $1,000 per month, depending on the features included. Interested users can contact Inside Real Estate’s customer support team to request for pricing details. Check out the list below of some of Inside Real Estate’s features. Best Real Estate CRM 2017: Contactually vs Top Producer vs REthink CRM — Are you in need of a real estate CRM software that matches your business’ specific needs? Read our guide to find the right fit for you. The Best Real Estate Software: Our Picks for 2018 — Looking for the most suitable real estate software for you and your team? Do you need one as an individual realtor? Read our guide for our best picks for 2018. Real Estate Marketing & Sales Strategy From the Pros — Learn everything you need to know about real estate using our in-depth resource guide here. Does Inside Real Estate offer a free trial? No. However, interested users can request for a demo by contacting Inside Real Estate’s customer support team. Who are the target users of Inside Real Estate’s kvCore and Kunversion+ platforms? The kvCore platform is geared toward enterprises and brokerages, while the Kunversion+ platform is designed for real estate teams and agents. This video provides an overview on Inside Real Estate’s all-inclusive platform that enables real estate professionals to generate leads, connect with potential clients, track transactions, and more. Not sure if Inside Real Estate is the right fit for you? 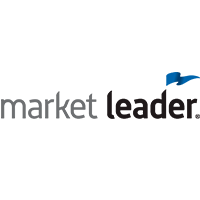 Read our reviews of all top real estate software providers or check out one of these three Inside Real Estate competitors. I have been using KvCore and the advertising features that are built into the software for the past 3 months and I have been extremely happy with Inside Real Estate. I have already been showing buyers properties from the ads that we have placed. There is scripting already built in and tons of support to help get started. I am very pleased and cant wait to see whats to come! Nothing sold a bad bill of goods !